Pixel is an effort to honour the union between design and craftsmanship. 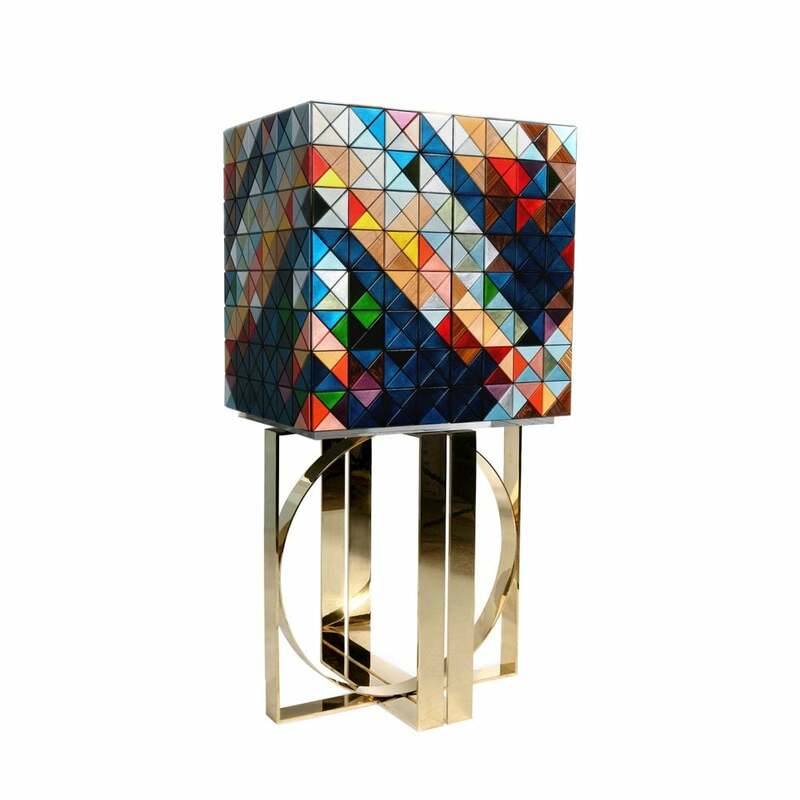 The 1088 triangles that complete this piece, with a diversity of finishes never before seen combined – silver leaf, gold leaf, lacquering, and 10 different types of wood leaf – carry the dedication and art of those who built it. Inside this piece we reinterpret a material and technique left in time – aged mirror and “capitonné”. The polished brass base gives Pixel a unique personality, a strong and at the same time sophisticated character.